The argument about Ducati's swingarm device continues to rage. Is it a tyre cooler, which makes it legal? Or is it an aerodynamic device, which most likely makes it illegal? "The current rulebook does not specify any control on attachments to the swingarm," says MotoGP technical director Danny Aldridge. 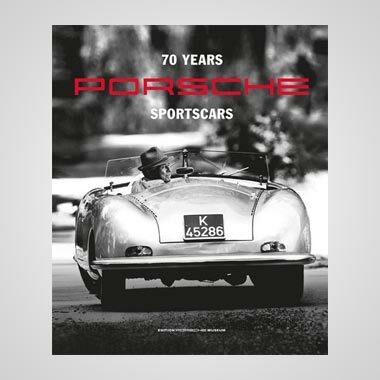 "However, there is an aero body guideline document that all the manufacturers work to. 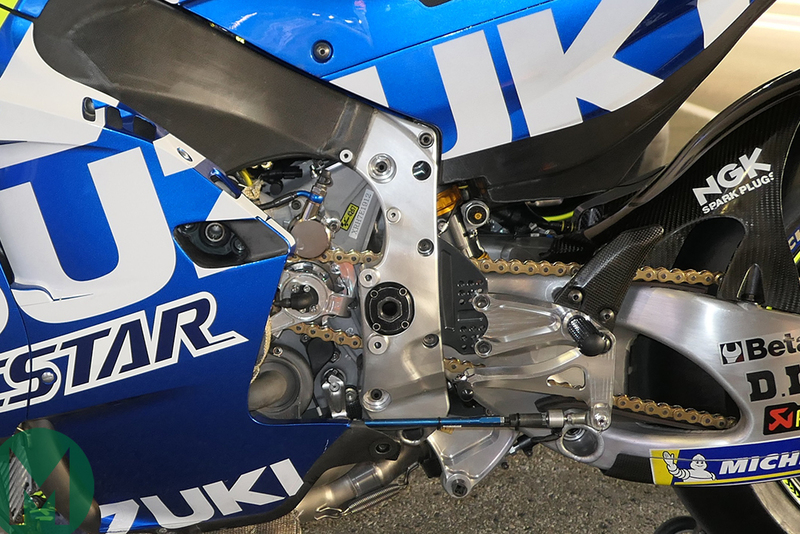 This was updated recently to outline among other points that the only permitted purposes of any attachments to the swingarm are cooling, water displacement and debris protection. "Ducati's declaration on their device says it's for cooling the tyre and therefore the approval was based on this use only. However, the other manufacturers believe its main purpose is to generate aerodynamic forces, which is not permitted in the guidelines. Hence why they have protested." Alfa Romeo Formula 1 aerodynamicist Ali Rowland-Rouse who races a Kawasaki ZX-6 in his spare time, has no doubt what the device does. "It's a three-element, short-span wing device that will give a decent downforce gain when the bike is upright," he says. "It reduces wheelspin by creating more load on the rear tyre, from anything over 80 or 100mph. "And with aerodynamics, downforce created increases with the square of the speed, so if you double the speed you get four times the downforce. Although more load creates more temperature in the tyre it helps avoid any spike in temperature from wheelspin which is the worst for tyre degradation. "What's really clever about it is that all other MotoGP aero devices are mounted on the fairing, so they're on the sprung part of the bike, so any downforce created goes through the suspension, so you have to compensate with stiffer springs and so on. But this device is mounted on an unsprung part of the bike, so any force created goes straight into the tyre. 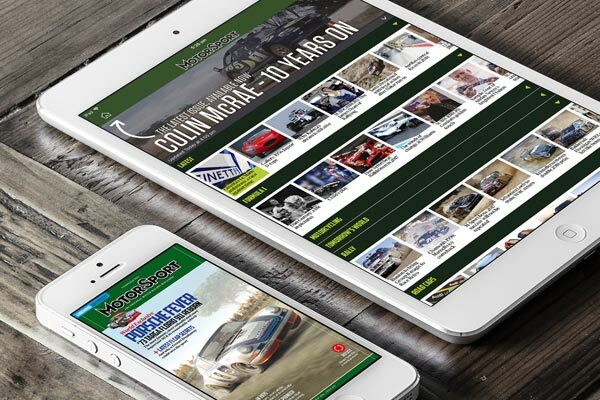 "That's the holy grail of downforce, because you get a greater effect on grip because it's not going through the suspension and you don't have to compensate your suspension set-up. "The device won't increase downforce during braking, because when the rider is hard on the brakes the front of the fairing belly pan is so close to the ground that it chokes any air that might otherwise reach the device. 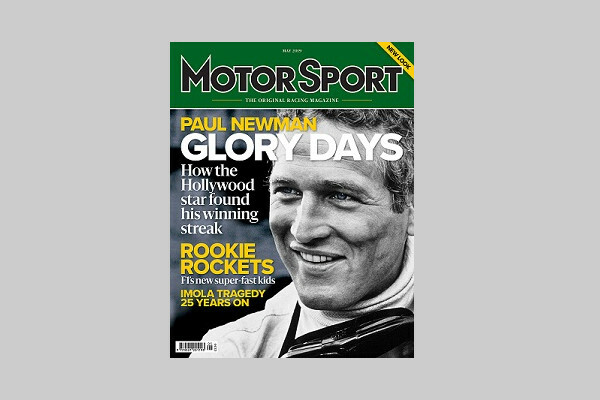 "If there's a major new innovation which is deemed to be not illegal, F1 deems it legal for the season so that the team can race with it," Rowland-Rouse adds. 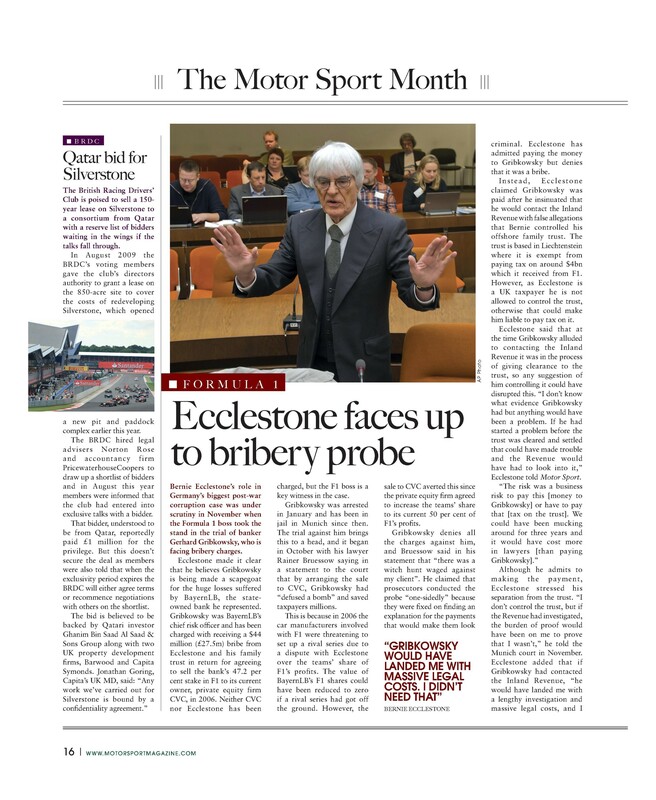 "Then at the end of the year there's a tribunal when F1 goes through how the rules should be interpreted and decide what new devices will be legal or not in the future. 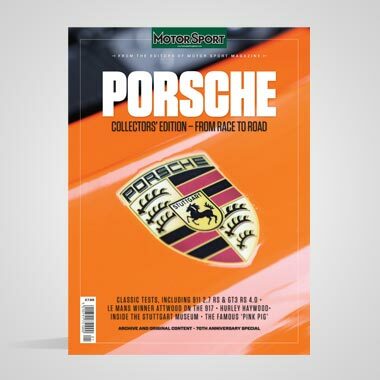 "So the team is rewarded for coming up with something new, so their work isn't wasted, but at the end of the year F1 says, do we want this in F1 or not? Maybe that's the way MotoGP needs to go." 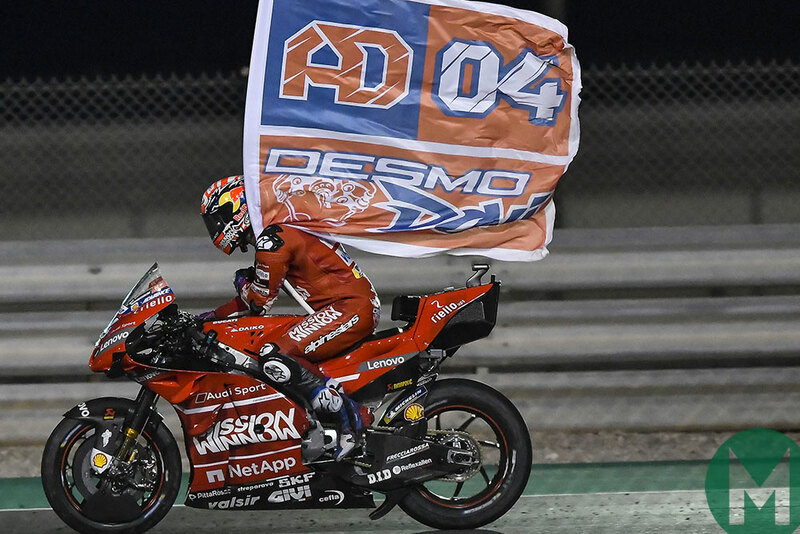 A date has yet to be announced for the appeal hearing regarding the protest against Ducati in Qatar. 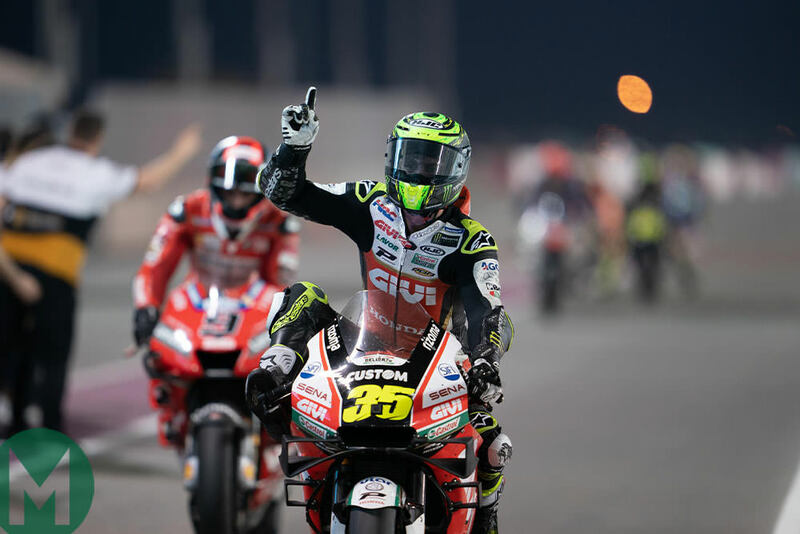 Losail is the first race of the year and has one of the longest straights of the season, so top-speed figures are significant. 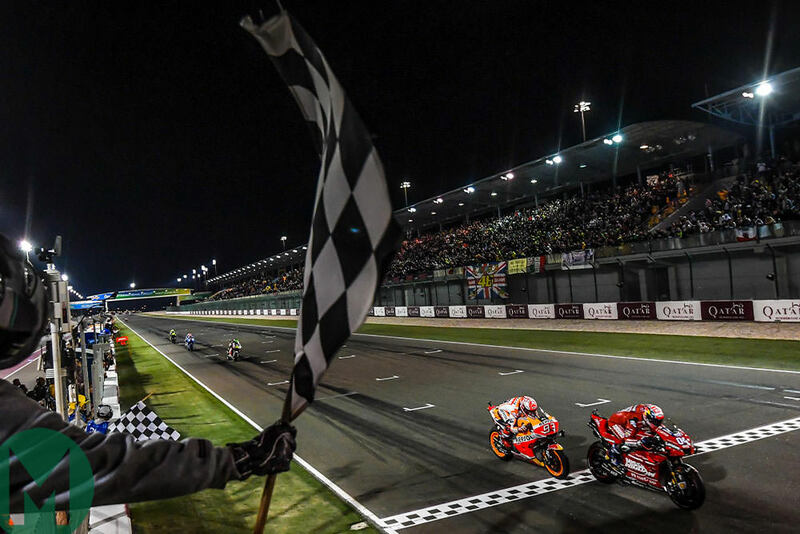 Most importantly the weekend proved that Honda's big effort to match Ducati on straight-line speed has worked. 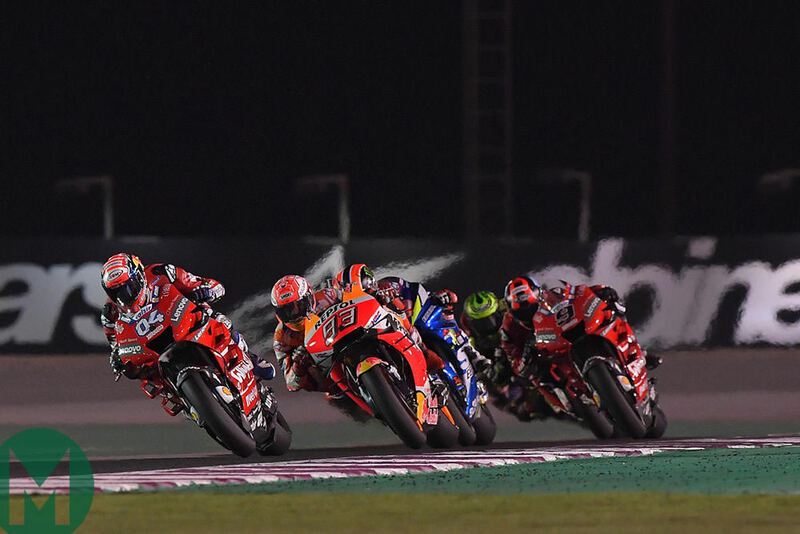 Last year the fastest RC213V at Losail was 1.8mph slower than the fastest Desmosedici; this year it was 0.2mph faster, a significant 2mph improvement. 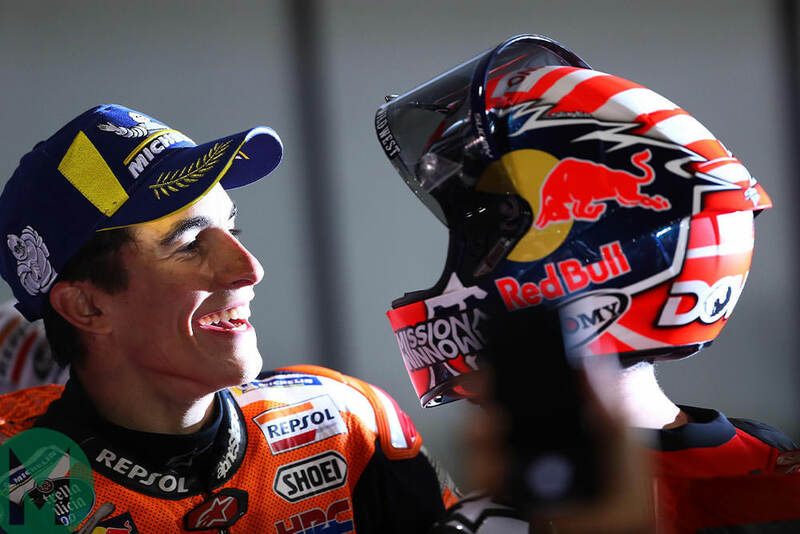 "HRC and the team worked a lot on top speed during the winter," said reigning champion Marc Márquez. "We have power and we are there on top speed, which is important because it's free time." None of Honda's RC213Vs at Losail featured the so-called bento box spied during February Sepang tests, which seemed to be part of an effort to reposition various components from beneath the fuel tank cover to allow a bigger home for improved airbox, trumpets and injector bodies. Instead the bikes again featured the carbon-fibre pods on each side of the main frame beams, first seen at November's postseason tests, which may hold some electrical components. 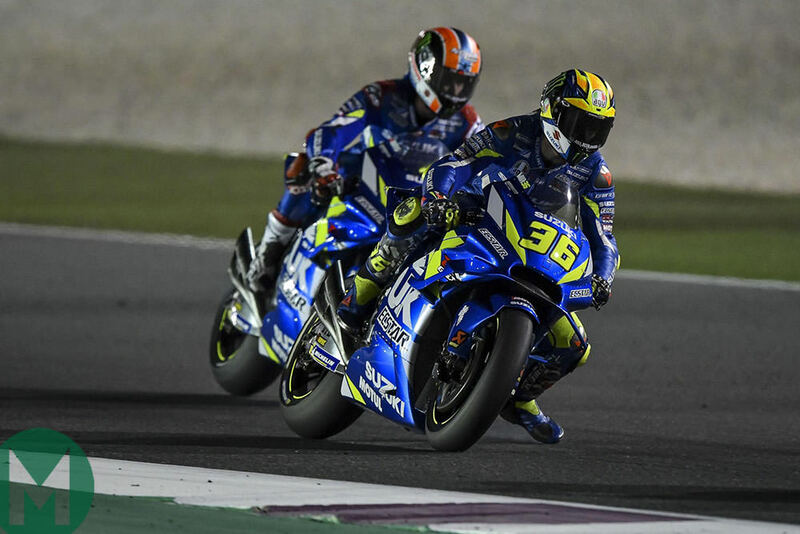 Suzuki was the biggest top-speed improvers from 2018 to 2019, with the latest GSX-RR 2.4mph faster at Losail than last year's. For the first time the GSX-RR features a torductor, a sensor attached to the gearbox output shaft that measures torque delivery to the rear tyre, which helps engineers ensure the engine and electronics deliver exactly the right amount of torque in every situation. Honda was the first to use a torductor in 2010, taking the technology from its Formula 1 effort. At that time the unit told the ECU how much torque to send to the rear tyre, but today's unified software regulations only allow the unit to send data to the datalogger to help engine-management set-up. Suzuki's top-speed boost probably also has something to do with slipstreaming. Both Joan Mir and Álex Rins were in the lead battle, allowing them to draft the faster Ducatis and Hondas. 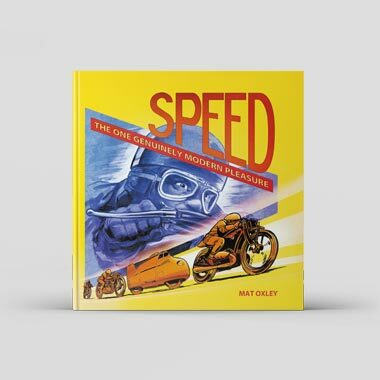 Indeed, none of MotoGP's official top speeds should be taken as gospel, because drafting, braking points and so on also play a part in the numbers. Nonetheless the Losail figures make gloomy reading for Yamaha, which had the fourth fastest bike, only a fraction ahead of Aprilia. The figures weren't good news for KTM either, with the RC16 losing top speed since 2018, most likely due to its reverse-crankshaft engine. The fastest bike in the first race of the Triumph 765 Moto2 era was Xavi Vierge's Kalex at 182.9mph (293.3km/h), significantly faster than last year's fastest Honda CBR-powered Moto2 bike, Joan Mir's Kalex at 177.5mph (285.6km/h). FENATI: "HE BELONGS IN MOTOGP"
Controversial Italian youngster Romano Fenati made a storming return to racing in Qatar, following his six-race ban for grabbing Stefano Manzi's front brake lever during last September San Marino Moto2 race. The incident became a global sensation and Fenati was summoned to FIM headquarters in Switzerland to explain what the sport's governing body called his "shocking and egregious act". Some people insisted the 23-year-old be banned for life, but he has returned to Moto3 this year with the Snipers CBC Corse team, with whom he contested the 2018 Moto2 championship and 2017 Moto3 series. Team owners Stefano Bedon and Mirko Cecchini believe in Fenati and want to take him to MotoGP. Following the Misano incident and the subsequent ban they hired a new rider for 2019, Makar Yurchenko, but then they decided they wanted to help Fenati, even though their decision lost them most of their sponsorship. "At Sepang last October we discussed what we could do for Romano because otherwise his career would be dead," says Bedon. "We already had a contract with Yurchenko, but [Dorna CEO Carmelo] Ezpeleta told us that he absolutely wanted Romano to stay in the championship. Romano told us that if he did come back he wanted to be with us because he feels good in our team, so Dorna helped us move Yurchenko to another team. "This caused a terrible situation with our sponsors, because for some of them Romano was a monster, so we lost a lot of sponsorship. This year everything is new and it's very difficult, but it was important to give him another opportunity. He's only 23 – he's not too old to change. "Romano is really a good kid. His problems are just a few minutes of his life; he's too impulsive. We talk a lot with him about this. And not only us, we have also had specialists speak with him to solve this problem. Our team has a very clever mental coach, not just for Romano, but for all of us. "This year Romano has completely changed. That's why he had 'reboot' on his leathers, to remind him and everyone else that this is a complete restart. He's a different person, but we need to see this on the track. Remember that in 2017 he was one of the most correct riders – he didn't get one penalty. 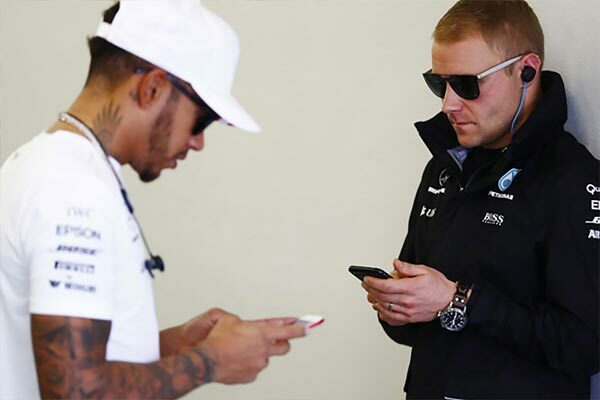 This year it's important that if another rider causes him problems that he keeps calm. "Romano is a great talent – Moto3 isn't his class, he belongs in MotoGP. From his data we can see that he is a very, very clever rider. We want to win this year's Moto3 championship and then put him in MotoGP." 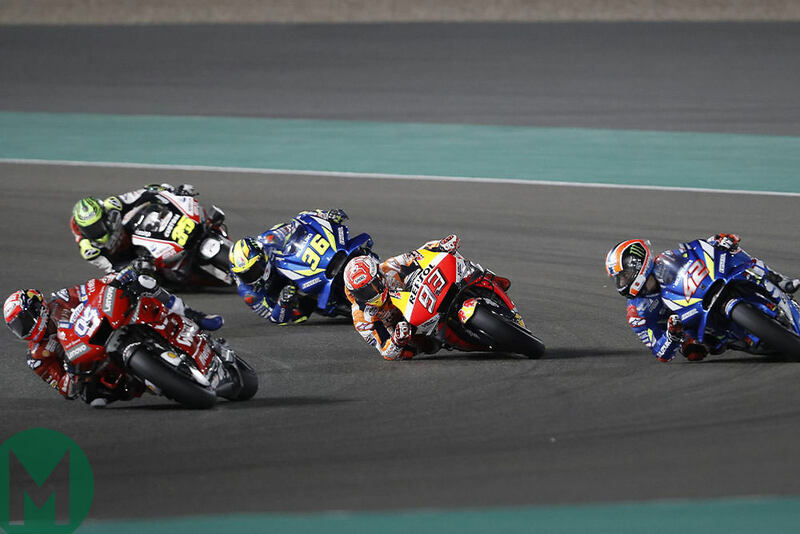 Fenati was fastest in preseason testing at Losail and was battling for victory in the race when he became the first rider to use MotoGP's new long-lap penalty lane. Race direction had given him a track-limits warning on his dash, telling him to avoid exceeding track limits again or risk a penalty. Fenati misread the message and took the penalty anyway. He finished ninth.